Last year I was Christmas shopping for the boy at Bed Bath and Beyond and came across this washcloth, called the Wonder Cloth. After reading the claims on the box, and doing a quick search for reviews online on my phone, curiosity got the better of me and I shelled out $14 for it. • Removes all make up quickly and easily with just water. • Rinses clean with water, no stains remain on the cloth! The idea is that you can use just this cloth and no cleansers to remove all traces of makeup. I was excited by the prospect of this! So many possibilities: travel without having to pack little mini bottles of cleansers, going camping and just washing my face by a babbling brook (not that I’ve been camping in years), and no more shelling out money for cleansers ever again! 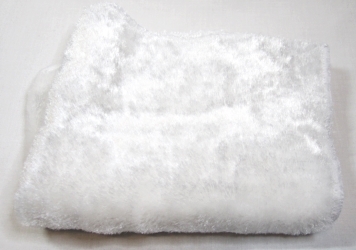 The new unused cloth is super soft and silky, almost like that faux fur baby blanket material. It is made of rayon, which is essentially reconstituted, highly processed, wood pulp. Feeling super excited, I used this for a week straight, and my enthusiasm waned as the days (actually evenings – I used this solely at night to remove my makeup) went on. 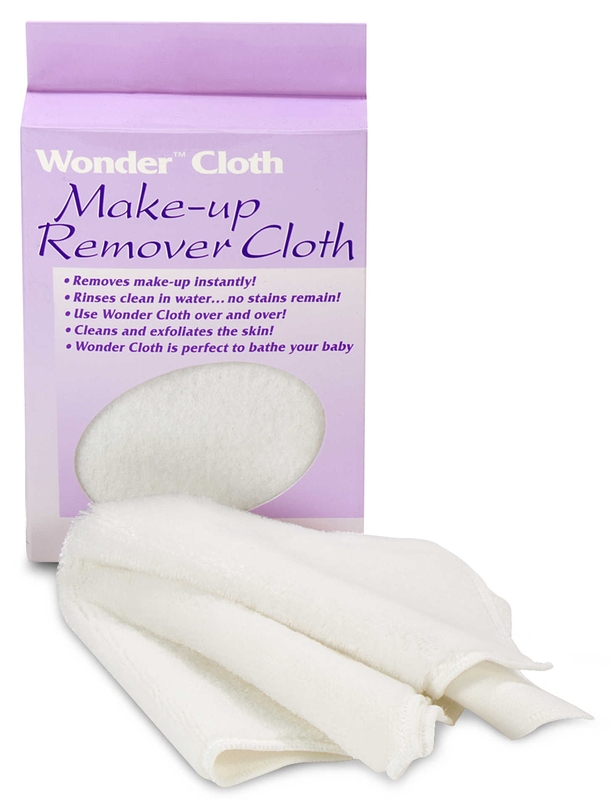 I did not enjoy using the Wonder Cloth at all – it was NOT cleaning my face thoroughly as claimed. After my initial washing with the Wonder Cloth (just the cloth plus H2O, as instructed), my eye makeup and my foundation were not completely removed – I would say the cloth maybe removed about 50% of the face makeup. This was apparent when I used my normal second step cleansing with micellar water. I had to use two and sometimes THREE cotton pads to fully cleanse my face, instead of the typical one. In addition, the Wonder Cloth itself got progressively dingier looking by the day, and the silky soft quality diminished after every wash / air dry cycle. If you’ve ever owned rayon clothing, you will know what I mean – when rayon gets wet, it takes on a completely different hand-feel than its regular state – almost a dry crunchy feel. The packaging claims that the fibres are supposed to rinse clean with water – liar! I rinsed as thoroughly as possible and it did not get clean looking. They also didn’t account for the edges of the cloth where the overlock thread was used – that part of the cloth retained a lot of stains as I used the cloth. After the week was over, I threw the cloth into the wash inside a laundry mesh bag and it did wash up cleanly, and the softness of the unused cloth did return, but it wasn’t as silky. However, it’s not practical to wash the Wonder Cloth nightly after each use. Bottom line: Wonder Cloth is not so wonderful. Save your money and just use a regular wash cloth or a Konjac sponge with a proper facial cleanser instead. Has anyone else tried this? Now I’m not sure what to use my Wonder Cloth for instead now – thoughts? Yes, it’s really too bad – there were lots of positive reviews online but I suspected they are fake reviews! Nah. It totally DOES look like a cheap stuffed toy! I should have known better but sometimes I fall for the gimmicky products with the outlandish claims! Never saw this before and won’t search for it either 🙂 Great review, sorry for your 14$ !!! At first I thought this was similar to that pink cloth called Makeup Eraser. I see it all over Instagram. But Idk how that works. Seems like the same concept. Too bad it was 14 bucks! Ugh. Those liars!